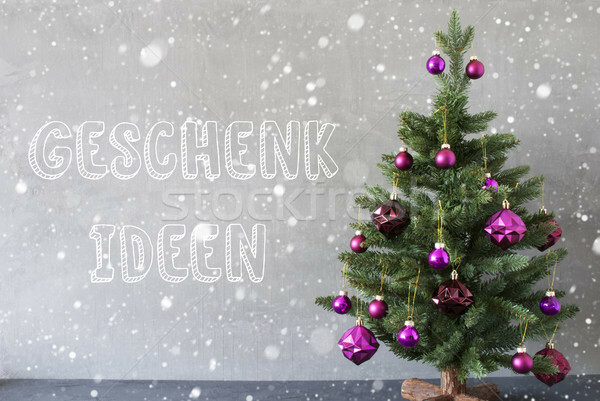 Stock photo: German Text Geschenk Ideen Means Gift Ideas. Christmas Tree With Purple Christmas Tree Balls And Snowflakes. Card For Seasons Greetings. Gray Cement Or Concrete Wall For Urban, Modern Industrial Styl.